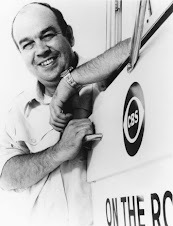 George Leon Smith, III was born a century ago today on November 27, 1912 in the railroad community of Stillmore, Georgia. In 1959, Smith began his tenure as Speaker of the House of Representatives during one of the most turbulent political and social decades in the history of Georgia. When he died at the age of sixty-one, Speaker Smith was one of the most powerful and admired speakers as well as being the longest serving house leader in the long history of Georgia. George Smith, a son of DeSausaure Degas Smith and Sarah Gladys Wilder, graduated from Swainsboro High School before attending the University of Georgia, where he was a member of Delta Tau Delta and Blue Key. Smith, a member of the Colby Smith clan of Washington County, Georgia, descended from a family known for its public service to the State of Georgia. Smith, first elected as the Solicitor of Swainsboro City Court in 1937, began his 29-year legislative career with his election to the Georgia legislature representing his native county of Emanuel in 1944. Smith served as the attorney for the City of Swainsboro for three decades. Smith won reelection in 1946 and 1948, and finished his career with an even dozen unopposed races. In 1947, Smith was chosen to serve as Speaker Pro Tempore of the Georgia House of Representatives, a political rarity for a first term state representative. He filled that high position with dignity until the end of 1958, when he was first chosen as Speaker of the House under an appointment by Governor Ernest Vandiver. Smith's initial term as speaker ended in 1963, when newly elected Governor Carl Sanders appointed the other George Smith, George T. Smith, to replace him. The Swainsboro attorney, a Sanders supporter, returned to the office of Majority Whip and Speaker Pro Tempore until 1967. It was in the election year of 1966 when George L. Smith rose to prominence in Georgia's political affairs. In fact, during that year when the country was finding itself in one crisis after another, one of the state's most contested gubernatorial elections took place. Staunch segregationist, Lester Maddox, was selected as the Democratic candidate, defeating former Democratic governor, Ellis Arnall, in the primary. Although Maddox won the primary with less than 30% of the vote (Jimmy Carter finished in third place,) Arnall entered the general election as an independent candidate and managed to receive seven percent of the vote in the general election and thereby throwing the election into the House of Representatives. Bo Calloway, the Republican candidate, finished ahead of Maddox by some 3,029 votes. Georgia law law required a simple majority of the total votes cast. Going against the will of the plurality of the voters, the Democratically dominated legislature elected Maddox. 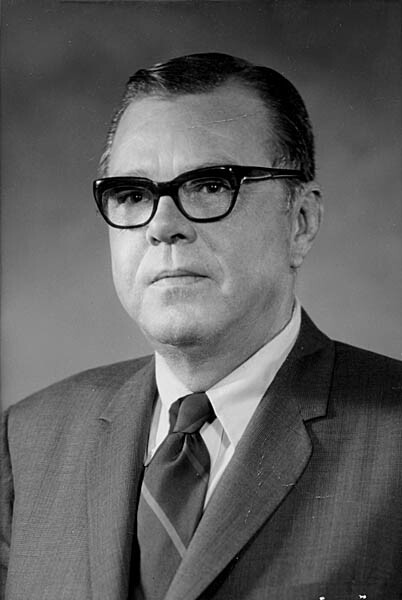 With Maddox's support, George L. Smith returned to the well as Speaker in 1967. It was the first time in the history of the state that the Georgia House of Representatives elected their own speaker, a move which signaled an independent, if only in theory, legislature. Meanwhile, the other George Smith, was elected Lieutenant Governor, who by law presided over the Georgia Senate. George L. Smith suffered a stroke in November 1973 in his law office in Swainsboro. The long time legislator never recovered. On December 9, 1973, Speaker Smith died. At that time, Smith had served more years as speaker (11) than any other person in Georgia history. Only his successor, Tom Murphy, who served in the position for 30 years, surpassed Smith in years of service as the state's top legislative officer. His funeral was one of the largest gatherings of politicos in the state's history. Leading the State of Georgia at that time was Governor Jimmy Carter, who would be elected President of the United States within three years as the first Deep South president since Andrew Jackson. Smith's body lied in state in the rotunda of the Georgia capital. The first person so honored was Confederate President Jefferson Davis. In recent times, Eugene Talmadge and Richard Russell were afforded the same high honor, an honor only afforded a dozen men in the state's history. Smith fought many battles, some winning and some losing, during his twenty-nine years in the Georgia house. He fought to establish kindergartens in every school system and to extend the number of years a student had to complete prior to graduation. Two of Speaker Smith's most lasting achievements are the establishment of Emanuel Junior College in Swainsboro and the movement to create a more independent legislature. The State of Georgia honored Smith's long legacy of service to the state by naming the World Congress Center in Atlanta in his memory. 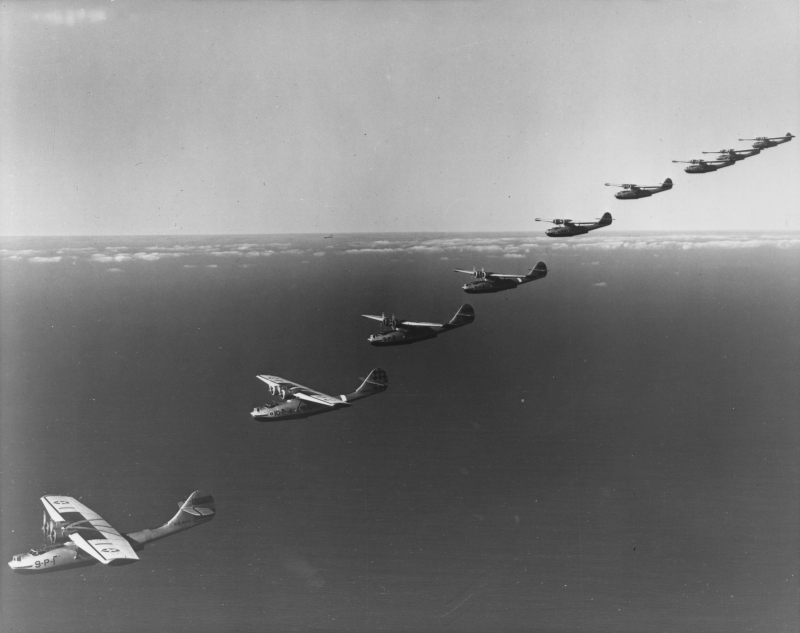 In their early days, PBYs, or patrol bombers, were the fastest thing in the sky. Designed to float on the seas and fly in the skies, the floating bombers were used for a variety of missions from bombing to patrolling to search and rescue missions. 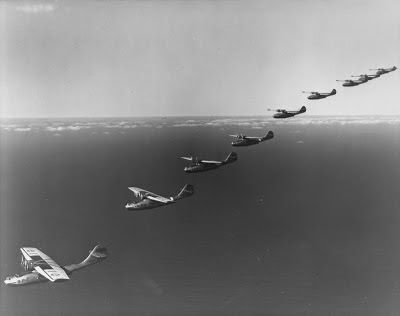 PBYs were not designed to fly in close formation. That was the case seventy five years ago off the coast of San Diego, California. Two ocean skimming planes collided in mid air. Ten naval airmen were killed. One of them, Julian Rawls, was a Dublin man. At the time, it was the worst air disaster in the history of the United States Navy. The Navy brass in Washington were planning for a possible invasion along the western coast of the United States in the latter years of the 1930s. Although the true amphibious attack never materialized, the Navy kept preparing for the worst case scenario. Rain was forecasted on a cool, cloudy Ground Hog Day evening on February 2, 1938. With a moderate northwesterly wind was blowing in to the shoreline, it was not going to be a good day for flying. Flying at night would be worse, much worse. More than 100 sea going vessels, 250 planes and 40,000 men were engaged in war maneuvers some 70 miles southwest of Point Loma, California. The San Diego Union reported that nearly all of the personnel in San Diego were out at sea participating in the war games. The time was 20:37 hours. Pitch black, moonless skies, permeated with low lying, rainy, rapidly moving clouds and augmented by heavy squall winds, obscured the visions of the flying boat pilots. Lt. Elmer Cooper, (LEFT) flying 11-P-3 and Lt. Carlton Hutchins flying 11-P-4 began to drift dangerously close to each other. Then in a deadly instant, the two flying boats became entangled. Sailors as far away as San Clemente Island saw the brilliant flames illuminating the dreary night sky. Crash boats of the U.S.S. Pennsylvania picked up the four survivors; D.B. McKay, V.O. Hatfield and L.S. Carpenter, all from the crew of 11-P-4. J.H. Hester, Rawls’ counterpart aboard the other doomed plane, survived the initial collision but later died aboard a hospital ship. “The plane 11-P-3 nosed into our tail. The other ship caught fire. Ours went into a spin and fell toward the ocean,” said McKay, who suffered a broken leg. “Lt. Carleton Hutchins (the commander of 11-P-4) ordered all of the crew to abandon ship. All of them got free either by using parachutes or in some other fashion. Two or three of us tried to hold Lt. Hutchins above water. He was unconscious. We managed to keep him up for about half an hour and then we finally had to let go,” McKay recalled. Lt. Hutchins was further honored in 1942 when the destroyer, the U.S.S. Hutchins was named in his honor. Lt. Cooper was also honored with a destroyer, the U.S.S. Cooper named in his honor. The seven-man crew of 11-P-3 never had a chance. Radio man Rawls barely had time to send out a Mayday message. P-3 Pilot Cooper did all that he could, never having the time to think about his beloved wife Frances and son Petie back at home. The 105-foot wide plane burned and exploded into unrecognizable pieces. Four fortunate survivors of 11-P-4 had enough time to don their parachutes and jump to safety. There were no survivors aboard 11-P-3. 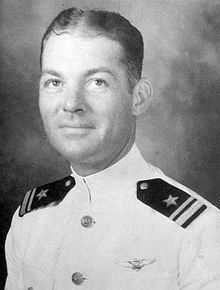 The bodies of the ill-fated crewmen of 11-P-3 were found except for Julian Rawls, John Neidsweicki and Martin Woodruff. Julian Rawls, (LEFT) a native of Dublin and then a resident of Chula Vista, California, had been in the service for seventeen years, two years in the Army and fifteen years in the Navy. Rawls, a radio operator, was eligible for retirement in 1940. Rawls, the husband of Evelyn Prince Watson, was born in Dublin in 1901 . A son of O.H.D. 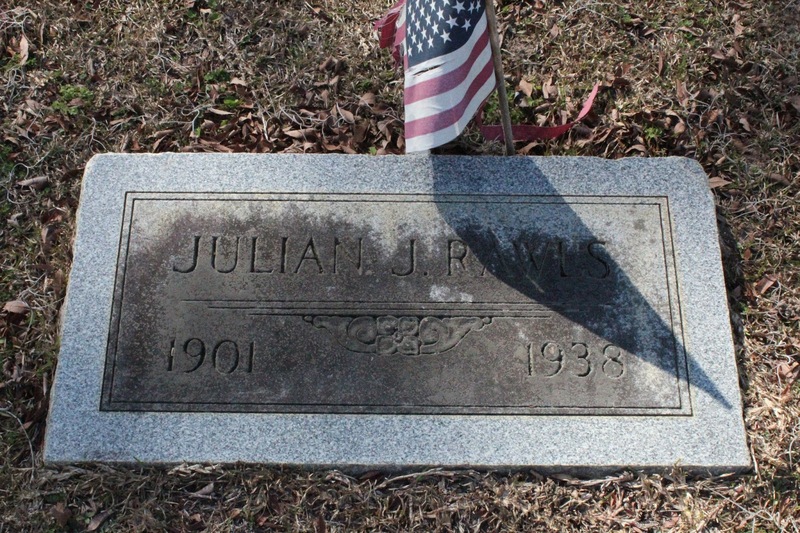 Rawls and Julia Rawls, Julian grew up in a couple of homes on North Jefferson Street. All movements of the fleet ceased. Radio silence was lifted to initiate a search for survivors. The search lights of 98 ships illuminated the crash zone in hopes of spotting survivors, any survivors. At dawn, every ship, boat and plane were pressed into search and rescue operations. 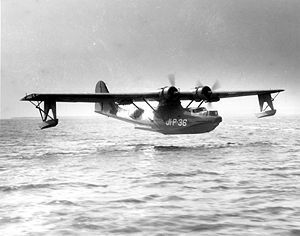 No signs of survivors, victors, or Rawls’ PBY were ever found. The search was called off the following evening. Admiral Charles Blakey instituted an investigation of the cause of the collision and promised that the regrettable and costly accident would help the navy to prevent future accidents like this one. 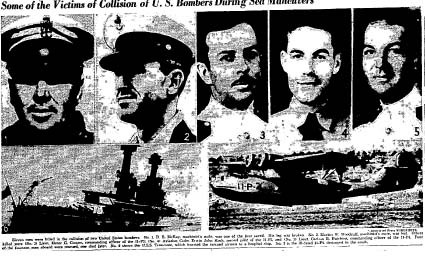 The collision and resulting crashes of two PBYs were reported to be the greatest loss of a heavier than air aircraft disaster in the history of the United States Navy. Eleven men died that fateful night. Training accidents, a fact of life in the service, were common in World War II. The collision was the third in six months in the area, leaving an even two dozen men dead. The body of Dublin’s Julian Rawls, was reportedly never found. There is a cenotaph marker in North view Cemetery (Sect. D, Row 3) to mark the life of this man, perhaps our county’s first casualty of World War II. Yet, his grave marker does not indicate that he was a member of the U.S. Navy - only a worn tattered flag indicates that he was a patriot. And, Rawls’ name is not inscribed on the World War II monument on the courthouse lawn. Now and forever, let us remember Julian Rawls and his fellow men who gave their lives to protect our country, seventy five years ago this week.